Wythe County boasts many recreational areas. The Jefferson National Forest, New River Trail State Park, Cedar Springs Fish Farm & Sportsman Lodge, Crystal Springs Rec Area, Iron Mountain Horse Camp, Virginia Highlands Trail, Apalachain Trail, and the Rural Retreat Lake are just a few of the areas attractions. Fishing, hiking, biking, hunting, horseback riding, kayaking, and even tubing are all very popular in the area. The adventure never ends in Wytheville and Wythe County. There’s an abundant selection of Wythe Attractions with a variety of experiences for all ages. Take a break from the interstate and leisurely drive on Big Walker Mountain National Forest Scenic Byway. This 16-mile byway showcases beautiful mountain scenery in all four seasons. Along the way, stop at Big Walker Lookout & BW Country Store and climb a 100-foot tower or shop for locally made arts and crafts. Every weekend from May-October, special artisan and music events are held. This byway travels through the Jefferson National Forest with many sites on the Virginia Birding Trail nearby. 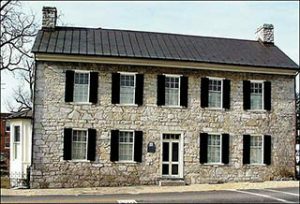 Continue down the mountain toward Wytheville and follow the path of Toland’s Raid by viewing the markers of the Virginia’s Civil War Trails. Experience the region’s rich history with tours of the many museums located in the area. Start your engines! The excitement of racing awaits! Wythe Raceway is a half-mile high-banked dirt oval tract near Rural Retreat with Saturday night races just about every weekend from April to October. 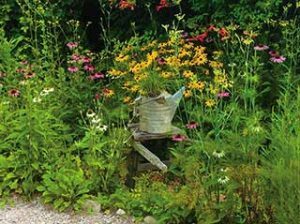 A beautiful learning environment, Beagle Ridge Herb Farm is a 160-acre wooded retreat with over four miles of nature trails and numerous display gardens. The walk-through butterfly house, Flying Flowers, is home to 32 different butterfly varieties with native and non-native plants. The new Serendipity building is newly opened for special programs, classes, and private events. Fort Chiswell Animal Park is Virginia’s most interactive zoo and home to animals from six continents. 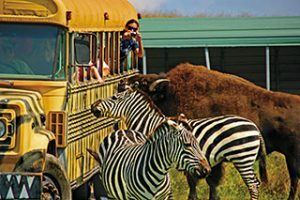 Ride the Safari Bus, enjoy the Petting Zoo, and find the perfect gift for your animal lover in the Zoo Gift Shop. Special events are held throughout the year. Located on a fourth generation homestead, West Wind Farm Vineyard & Winery offers tastings and tours in a beautiful hilltop setting and more than 10 family-crafted Virginia wines. Special activities including wine dinners and music events occur year round. Rural Retreat Winery & Dye Vineyardsoffers a wide selection of wines as well as a deli and area showcasing regional arts and crafts within two historic buildings. For evening entertainment, don’t miss the latest production at Wohlfahrt Haus Dinner Theatre. Presenting “All Musicals, All the Time”, this venue offers evening and matinee performances, live music weekly in the Matterhorn Lounge.